Dana Saccomano submitted this photo and caption. This picture is members of the 2009 7th Regiment toward the end of their World Championship Semifinals performance. The 7th had a terrific season this past summer, making the Finals for the first time ever in its brief six-year history. 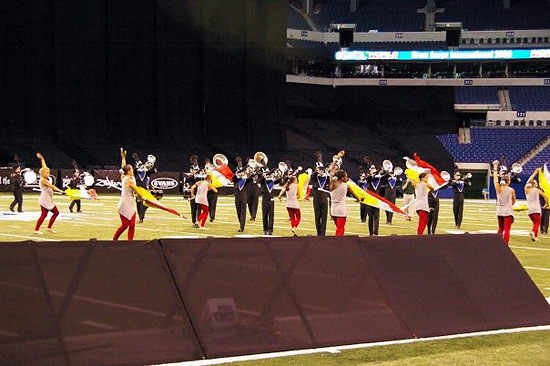 The drum corps worked together all summer to make their production "Excalibur" the best it could be. The 7th deserved every moment they had performing in Lucas Oil Stadium. Connecticut is so proud of its very own DCI Finalist corps!